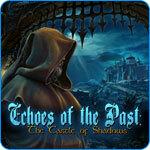 Echoes of the Past: The Castle of Shadows Game - Download and Play Free Version! A Painting Has Come to Life and Asked For Your Help! The Royal House Museum has invited you to visit their new exhibit of 19th century art. All of the pieces were found on the grounds of the museum, including a very strange painting of a woman that has come to life and asked for your help. Her family has been cursed by a witch and turned to stone. Legend has it that a stranger from the future traveled to the past and saved the royal family by using a family relic, the Royal Amulet. The witch's powers were destroyed. She attempted to steal the amulet, but a bolt of lightening shattered the bobble and scattered its remnants throughout the town. 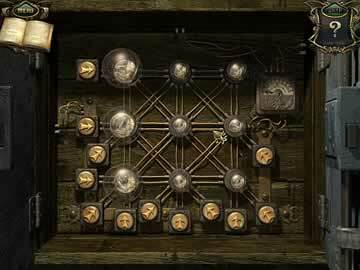 It is up to you to gather the missing pieces and restore the amulet to its proper place. 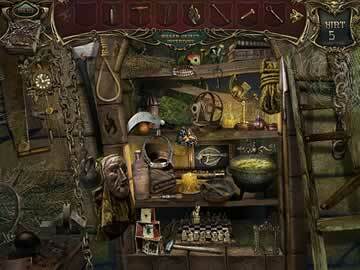 In this challenging Hidden Object Adventure game Echoes of the Past: The Castle of Shadows, you must help the beautiful woman by searching through the town to acquire the parts of the missing amulet. Use the inventory items to solve puzzles, unlock doors, and free objects from hidden locations that will help you in your quest to save the royal family and the town from the powers of the evil witch. Download the free trial today.